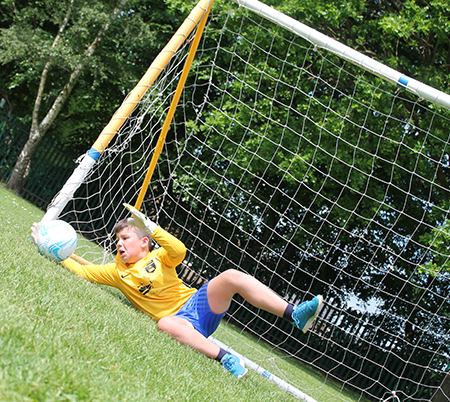 There are a wide variety of sporting opportunities available at Barnton Community Nursery and Primary School. Our curriculum guides children from their early physical literacy skills, focused on fundamental movement skills of agility, balance and coordination, in Key Stage 1 through to specific sports skills and competitive awareness in Key Stage 2. Underpinning all of this is a progressive development of understanding how to be make healthy lifestyle choices. Children have the opportunity to experience quality first teaching in: football, netball, hockey, tag rugby, cricket, gymnastics, dance, dodgeball, rounders, judo, fencing, trampolining, outdoor adventure games, athletics, swimming, boccia to name a few! We have an extensive range of extra-curricular opportunities to complement the two hours of PE per week your child receives as well as excellent links to local sports clubs. We have been awarded the Sainsbury’s School Games Gold Award for our commitment to sport.